South Jersey is well known for its beautiful farmlands and wide open spaces. However, make no mistake about it, roads and highways throughout Camden, Burlington and Gloucester counties are anything but wide open. The volume of cars, trucks and motorcycles congesting the New Jersey Turnpike, the Atlantic City Expressway, routes 130, 70, 42 and 38, as examples, can be maddening for commuters and local drivers alike. When car accidents happen, the results can be disastrous – often fatal. If you or someone you love has been injured, or worse, in a car accident in Cherry Hill, Medford, Mt. Laurel or any town across South Jersey, you deserve to be compensated for your losses. Contact the highly renowned personal injury lawyers at The Law Offices of Andres & Berger, P.C. in Haddonfield, NJ. We have successfully won millions of dollars in settlements and verdicts on behalf of car accident victims. We will fight for your family’s rights, too. Car accidents occur for many reasons: speeding, reckless driving, distracted driving (including cell phone or radio use) and, of course, drunk driving. Regardless of how these crashes occur, millions of accident result in injuries and fatalities. Of those, 1.6 million accidents resulted in serious injury to the driver or passengers. The National Highway Traffic Safety Administration recently released a study, “The Economic and Society Impact of Motor Vehicle Crashes, 2010.” In addition to serious injuries and fatalities, the study showed the cost for car accidents is extraordinarily high: 2010’s accidents cost over $871 billion in economic losses and decreased quality of life injuries. All auto crashes are as different as the people who get hurt and the types of injuries they suffer. The Law Offices of Andres & Berger, P.C. will take on your personal injury case and fight tirelessly to make sure you and your family get the financial damages you deserve. We will be by your side every step of the way, dealing with the insurance companies and more. We want you to focus on your recovery while we take care of the legal business at hand. We will put your family first. If you have a registered car in New Jersey, you know that you must maintain a certain level of automobile insurance in order to legally drive here. You may also know that New Jersey is home to some of the highest auto insurance rates in the nation. So, it stands to reason that anyone injured in a car accident in South Jersey would have the insurance coverage necessary to cover medical bills. Unfortunately, auto insurance carriers do not fully explain your options when you are buying insurance. If you are in an accident caused by a careless driver with a basic insurance policy, or worse – no insurance at all! – you will have a very difficult time getting the insurance company to pay for medical treatment. Your right to recover monetary damages from careless drivers who cause accidents is also reduced. The Law Offices of Andres & Berger, P.C. has an incredibly strong reputation with insurance companies. Carriers know we are not afraid to take cases to trial when agreeable settlements cannot be reached. 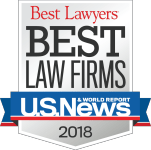 Because of this knowledge, insurance carriers are more willing to seriously negotiate with our personal injury lawyers in car accident cases. 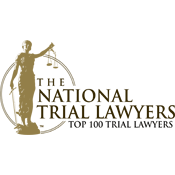 If you are injured in a car accident, regardless of the circumstances, you deserve maximum compensation for your pain and suffering, medical bills, lost wages and more. 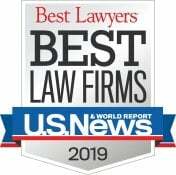 You need to hire a law firm with a reputation for taking on insurance companies and winning millions of dollars in settlements and verdicts for clients in Evesham, Voorhees, Marlton, Washington Township and throughout Camden, Gloucester, Atlantic and Burlington counties. The Law Offices of Andres & Berger, P.C. 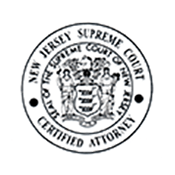 are a results-oriented, client centric law firm geared toward protecting the rights and interests of clients in South Jersey and across the entire state. We work every car accident case from the ground up, documenting and building a case that will stand up to even the toughest jury scrutiny. We work with the very best consultants, including board certified surgeons, orthopedic specialists, neurosurgeons and psychiatrists who will review all your medical files and conduct new exams when necessary. We will reconstruct your accident scene, with the held of specialists and safety engineers, to determine exactly what happened and who was at fault. We will then work tirelessly to obtain maximum compensation for your injuries. 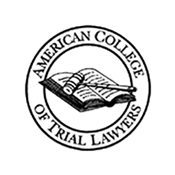 If you have been injured because of the carelessness of another driver, the Certified Civil Trial Attorneys at The Law Offices of Andres & Berger, P.C. will make sure you obtain the insurance benefits you paid for, and find out what alternatives you have to recover compensation for your injuries and losses. 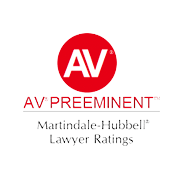 We are experienced automobile personal injury lawyers and we have a proven record of getting our automobile accident clients the compensation they deserve. In fact, we’ve collected millions of dollars in compensation for our clients. 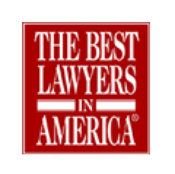 Contact The Law Offices of Andres & Berger, P.C. today for a free consultation. The Law Offices of Andres & Berger, P.C. is located in Haddonfield in South Jersey but because of our outstanding reputation we commonly represent clients throughout the entire state of New Jersey.